« Successful Winter Carp Fishing. 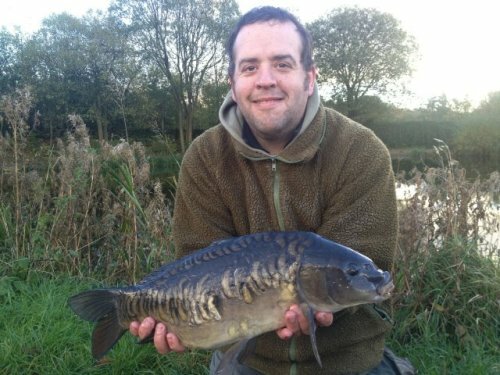 Bait is a subject that seems to confuse and trip up most Carp anglers not just in winter but all year round. It is a subject that would take numerous posts to cover but for now I am going to suggest a few tried and tested baits. Boilies are a good bet in winter but I would advise to stay away from fishmeal boilies with a high oil content. Instead go for one based on bird food or milk proteins or a mix of both with a fruity or nut flavour to them. I like to use CC Moore Live System (to be honest I use these all year round). Pop Ups are a winter favourite and a single high visibility pop up has accounted for countless winter Carp. Mainline yellow pineapple juice and RG Baits 365 pop-ups in pink and white are my favourites. I use them in a smaller size then I would in the warmer months so in general I go for a 12mm pop up in the winter. Maggots can be a devastating bait anytime of the year but they come into their own as a winter bait. They can often be a very instant bait encouraging carp to feed even in the coldest water temperatures; used with a large PVA bag of free offerings this can be a killer method. My biggest tips for using this method would be to use a mix of red and white maggots and also always try to incorporate a bit of buoyancy to your rig. The best way to do this is to use a couple of buoyant fake maggots. So there you have it my top 3 winter bait recommendations. Now we should take a couple of minutes to take a look at the different tactics I adopt in winter. I tend to use little or no free offerings at all. In fact I really want my hook bait to be the main source of food so my free offerings will be mainly boilie crumb with hemp, crushed tigers and sweet corn. I tend to use one rod as a” roamer”. Basically I am trying to search out the Carp. I will cast to a likely area and then if after forty five minutes to an hour I do not get a run or an indication that there are fish in that area I will recast to a new area and repeat the process (I would normally use a high attract pop up as part as my roaming set up). Always have the sensitivity of your alarms set as high as you can get away with and point your rods at your rigs to increase bite indication. Don’t forget that the Carp have slowed down so don’t expect a screaming runs a single bleep may be all you get so it pays to keep an eye on your rod tips. Well that’s it for now, follow this simple advice and it won’t be long before you go and bag yourself a Winter Carp. This entry was posted in carp, tips and tactics, tuition and tagged carp, winter.